Cuts to police funding, misinterpreted legislation and social issues that are creating a rise in certain types of offending have led to a lack of control when it comes to dealing with criminals. In this, the second in a series of thought leadership pieces, Daniel Hardy, managing director of National Business Crime Solution (NBCS), examines the factors that have created the current situation and why businesses are now having to do more to protect themselves. In October 2017 the Office for National Statistics (ONS) reported that the number of crimes recorded annually in England and Wales had passed the five million mark for the first time in 10 years, rising by 13 per cent. Furthermore, the latest Crime Survey for England and Wales, based on people’s experiences, suggests there were 10.8 million offences. Even though the home secretary, Amber Rudd, recently announced a substantial £450 million increase in police funding following many years of cuts, most of this money will be directed towards counterterrorism policing, meaning that businesses are unlikely to see any significant change in the way that petty criminals are dealt with. As well as the funding issue, there’s the on-going distraction of Brexit, with the implications that it has for the police service. For example, the UK could lose the European Arrest Warrant, making it harder to bring suspects back to the UK to face justice, as well as the European Supervision Order, which allows suspects to be released on bail to their place of residence. With negotiations in full swing, attention is increasingly being drawn away from domestic issues such as crime – a situation that has created a growing degree of concern about law enforcement and the ways that persistent offenders are controlled. Having lost nearly 16,000 officers from forces in England and Wales – the equivalent of losing all the police forces in the south west of England – the police service’s ability to respond to calls has been seriously affected. With massive amounts of available time, manpower and money being put into thwarting the growing terrorist threat, it is at the expense of what are considered less serious crimes – put simply, business crime is not seen as a priority. Part of the problem stems from The Anti-Social Behaviour, Crime and Policing Act 2014, which received Royal Assent in March 2014. Section 176 makes theft from a shop of goods worth £200 or less a summary-only offence, which can be considered for police-led prosecution providing a guilty plea is indicated. For some this was seen as going soft on shoplifters and did not take into account that a sum of just £50 can seriously affect a small shopkeeper’s bottom line. This isn’t a particularly new problem though. Back in 2013 crime logs revealed police in Birmingham were failing to record or investigate more than 60 per cent of shoplifting offences in the city. In fact, some cases were being ignored because police wrongly believed shoplifting – a criminal offence under the Theft Act 1968 – was a civil offence. Despite assurances from the Police Federation that it does take the matter seriously, a growing raft of evidence suggests otherwise. While physical theft is one element of the situation, online fraud is now the most common crime in the UK and retailers are having to deal with customers who falsely claim that goods haven’t been delivered, or items were not included in the sent package. Perhaps even more of a concern is that the British Retail Consortium’s (BRC) 2016 Retail Crime Survey highlighted a growing sense among those working in the retail sector that offenders are becoming more confident in their ability to act with impunity. 56 per cent of retailers questioned offered the view that the police service’s performance was either ‘poor’ or ‘very poor’ – something that is even more concerning given that the BRC also reported a 40 per cent increase in violence and other forms of abuse against retail workers over the previous year. This situation is only likely to get worse, given that the UK’s crime trends tend to closely follow those in the USA, where heroin and opiate use has reached epidemic proportions. Addicts tend to indulge in activities such as low-level shoplifting to fund their habits and this can also lead to greater instances of violence if they are desperate enough. In 2017 the government introduced a 28-day police bail time limit as part of the Policing and Crime Act. This means that if someone is released on police bail, it should take no longer than a month for a decision to be made. Previously, under the Police and Criminal Evidence Act 1984 (PACE), there was no legal limit on how long a suspect could be bailed for, other than where minor offences needed to be charged within six months of the commission of the offence. As a result, suspects could remain on police bail for months, even years, with no charge and bail conditions that limited their private lives. Now, unless certain conditions are fulfilled, release of a person whilst an investigation is on-going should be without bail. If bail is required, a custody officer has to be satisfied that it is ‘necessary and proportionate’ and it has to be authorised by an inspector, while one extension of up to three months can be authorised by a senior police officer at superintendent level or above. In exceptional circumstances, where the police need to keep an individual on bail for longer, they will have to apply to a magistrate. The release of arrested persons without bail is intended to become the norm. While this makes a certain degree of sense, when combined with the Section 176 of The Anti-Social Behaviour, Crime and Policing Act 2014, it has created a situation where a thief can commit a number of offences involving sums of £200 or less, be apprehended, yet face no charge. This lack of control over the activities, actions and even whereabouts of repeat offenders means that low level crime is increasing and each case judged individually rather than as part of a bigger picture or linked series of offences. This is due, in part, to a misinterpretation of legislation that is designed to streamline how offenders are dealt with when they have admitted guilt, instead using it to lower the resourcing issue and overall burden upon the police and criminal justice system. In some forces, this £200 guide has been interpreted as an non-attendance policy based on crime values and could affect a police officer’s decision to take someone into custody, or possibly lead to the closure of an investigation with open lines of enquiry, as they will have to take in factors such as time and budget, generating a wider lack of suspect control in our communities. 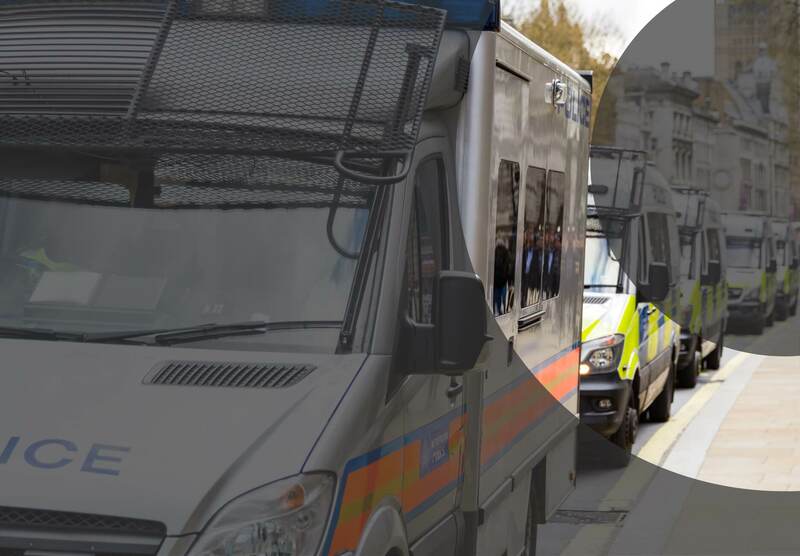 Given the status quo, both the police service and business community have recognised intelligence sharing as being a key driver in identifying and tackling the full nature and extent of the threats faced by businesses. Using collected data and devising a loss prevention strategy that is more effective can thwart those individuals that offend against multiple businesses. The issue of inefficient reporting should not be underestimated or ignored either – it creates a situation where the scale of the problem is unclear, so sufficient resources cannot be allocated to deal with it effectively. Under reporting also has the potential to exacerbate the issues of modern day slavery, people trafficking and child sexual exploitation, as those forced into crime by gangs are not identified, with patterns of behaviour going unnoticed. Sharing information can help identify persistent offenders, who, if companies fail to report a crime to the police, could easily slip under the radar. Although the picture looks pretty gloomy, it is clear that positive steps to address business crime are being taken, with organisations working both internally and with other external companies to address the issue. While we would all like to think that the police service could have the resources to effectively tackle all types of crime in the future, that day may never come. Therefore, businesses must do all they can to configure effective security strategies, implement risk-based deployment, address loss prevention and online fraud, and deliver effective policy and stakeholder management encompassing a collaborative approach. With law enforcement agencies utilising this risk based approach to crime management, any strategy should consider a timely, effective standard of civil investigation that could facilitate policing engagement, should suspect breaches take place further down the line.